It was back-to-back wins for Glenn Brinkman and Harvey Smith in the P3 Solution Queensland Rally Championship. 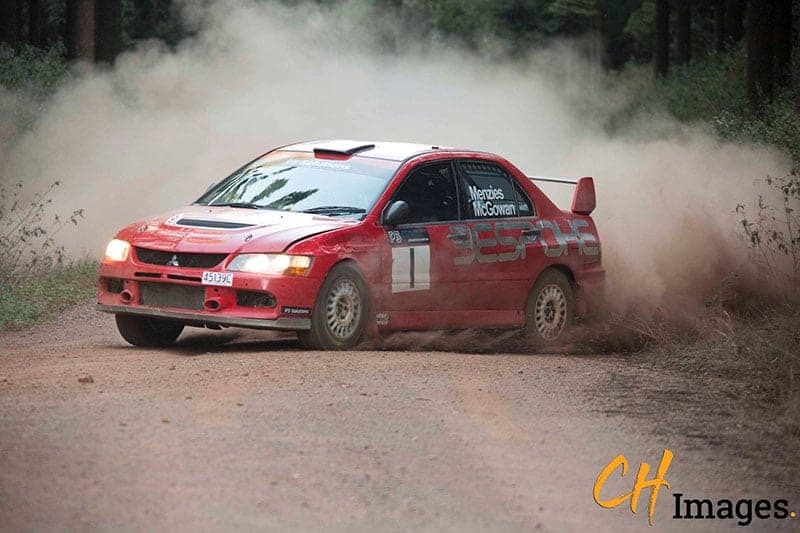 Winning four out the seven challenging stages in their Mitsubishi Lancer Evolution 9, Brinkman and Smith drove to a solid victory in the P3 Solutions Rally. 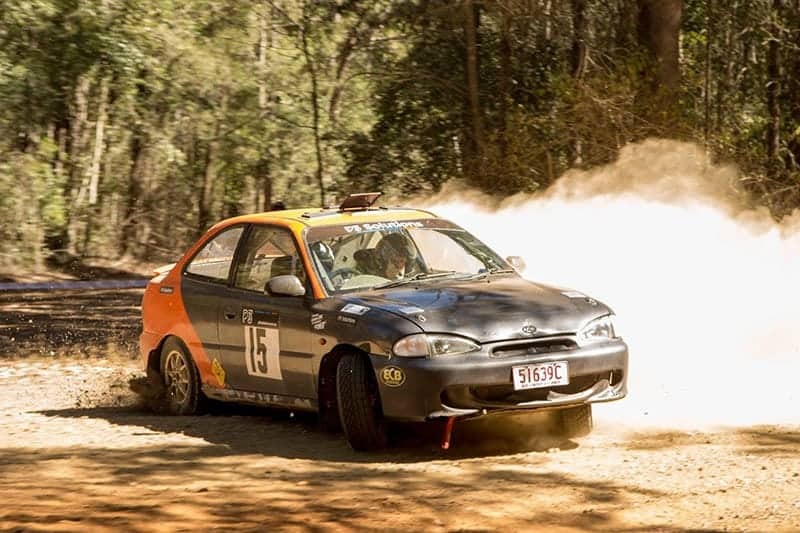 Brinkman, also competing in the MTA NSW Rally Championship a week earlier, did well to have the car prepared and in a different state with only a six day turn around. 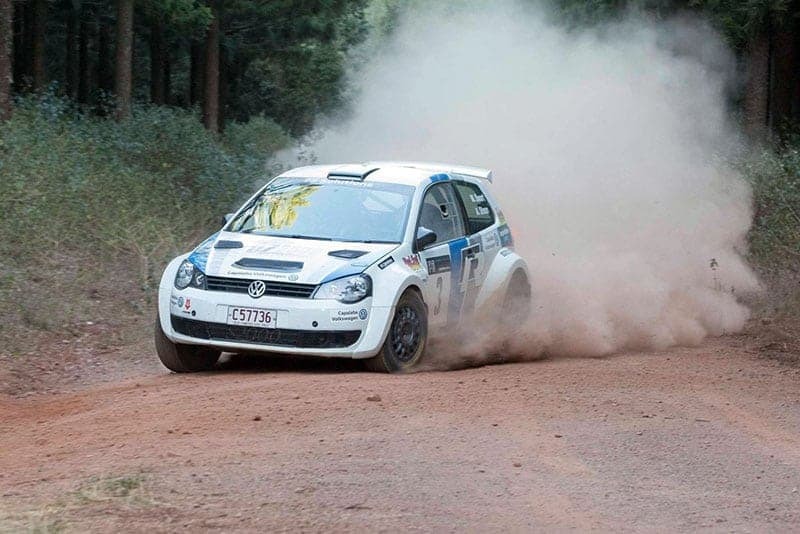 The P3 Solutions Rally was the third round of the P3 Solutions Queensland Rally Championship, based in Benarkin using forestry roads locally and in nearby Yarraman. Competitors drove the roads blind, using the road book, with two loops of four fast, sometimes rough, dusty, hot and challenging stages. Unfortunately a cancelation of one of the stages reduced the event to seven stages in total, 82km competitive. 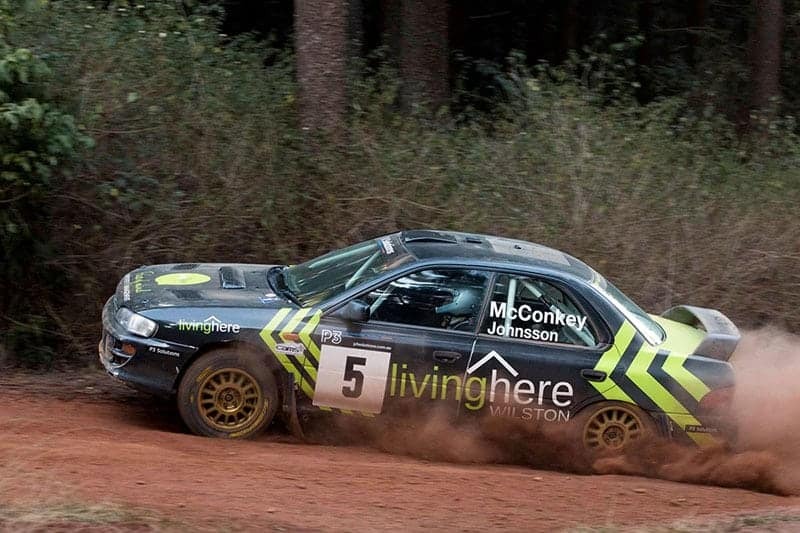 Taking second place was Ian Menzies and Robert McGowan driving their Mitsubishi Lancer Evolution 9. The crew tried hard to catch Brinkman/Smith in classic Menzies style, producing two fastest stage times for the day, getting away with a close brush with the scenery. Other crews in the event weren’t as lucky. There was a tight battle for third between the crews of Marius Swart/Alan Stean (VW Polo S2000) and Melinda Bergmann/Larisa Biggar (Rallycars.com.au Mitsubishi Lancer Evolution 9). Both teams drove to the limit and pushed hard, exchanging mere seconds at every stage. The team to finally come away with third by one second was Swart and Stean, generating the quick time they needed in the final stage. Bergmann and Biggar finishing fourth, and had some consolation producing a fastest stage time in the penultimate stage. Rounding out fifth place in a Subaru WRX was Gerard McConkey and Matthew Davidson, also having a lucky brush with the scenery. Rodney and Belinda Reid in their Mitsubishi Mirage kept out of trouble and finished the event as the fastest 2WD. 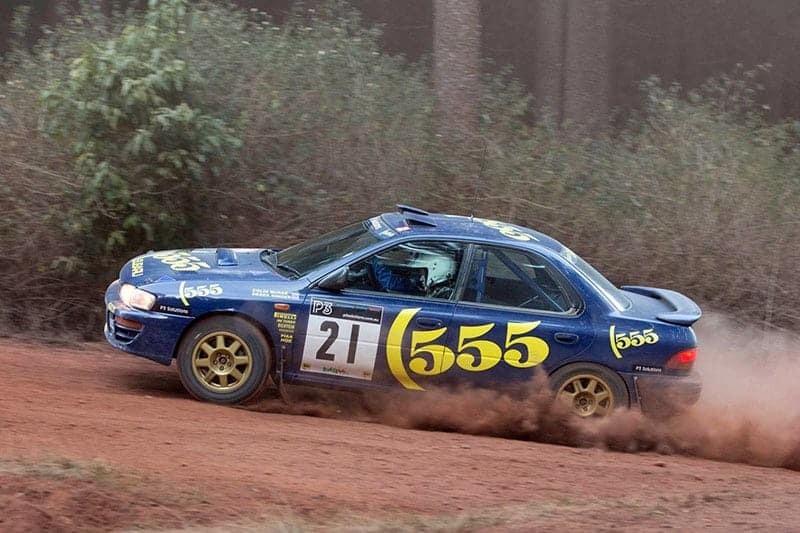 The Junior Driver was won by Brayden Wilson in his Mitsubishi Mirage, while Nicholas Griffin fought off motion sickness to win Junior Co-Driver, sitting beside Anthony Tanzer in a Subaru Impreza. Clubman was a fierce battle between the Mazdas of Jesse Heitman/Grant Burisch and Connor Oldham/Colin O’Brien. Hietman steering his Mazda RX7 to the win, with Oldham reducing the gap down to 29 seconds by the end of the day and coming away with second in his Mazda Familiar GTX. In an immaculately prepared Subaru WRX GC8, the Prodraw 555 Rally Team of Ben Crisp and Brad Jones won the Novice component of the event. The P3 Solutions Rally also hosted a multi-club pacenoted event which was won by Shaun Dragona and Ryan Preston in their Dasha Racing Subaru WRX STi. The event organisers wish to extend their thanks to the wonderful community of Benarkin and the Benarkin State School, and all the volunteers that assisted with the event. With the final Whitsundays round of the P3 Solutions Queensland Championship cancelled, all contenders will be focusing on round 4, the SR Automotive Manumbar Rally, on September 22 for the last opportunity to score points. This event is the same date as the MTA NSWRC Bathurst Rally, requiring Brinkman and Smith to be in two places at once. Which event will they choose? See the full Benarkin Rally results HERE.